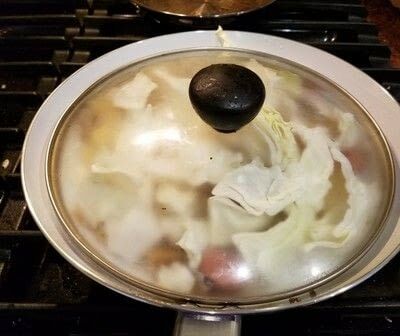 1 pot skillet dinner in 30 minutes or less! 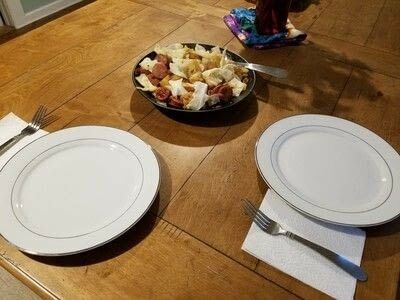 This is a super easy dinner! Most of the ingredients you can find right in your pantry! My husband made this for me for the first time over 5 years ago! This is a great meal to make in a hurry. Nothing too crazy that gets your heart-rate going and makes you start sweating. I think the most expensive item on the menu is the bacon! 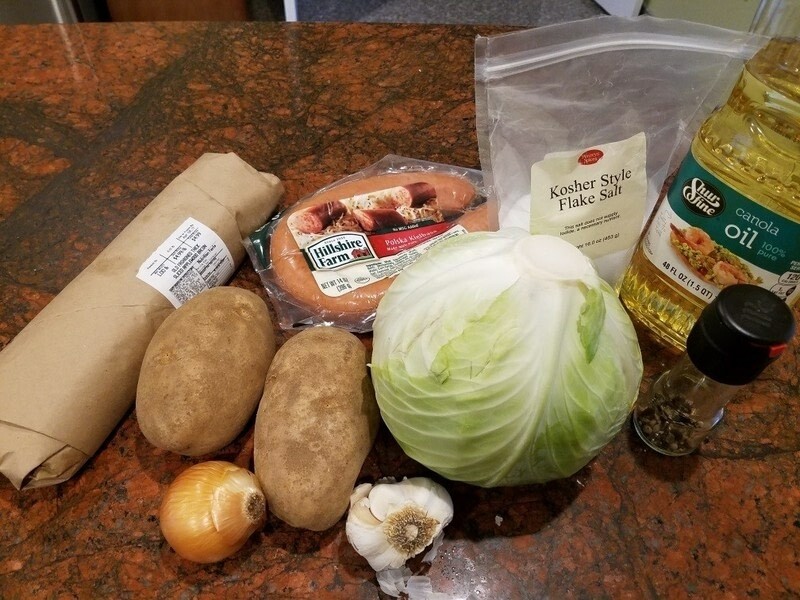 Ingredients you will need! The best way to start is by prepping all of your ingredients first. 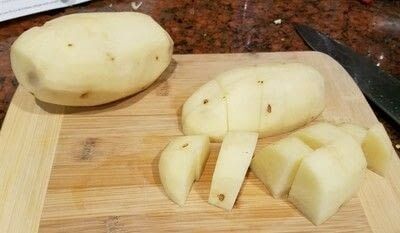 Start by peeling, cutting and rinsing your potatoes. Put them into a microwave safe bowl. Add to the potatoes ½ teaspoon salt and ¼ teaspoon black pepper, stir or toss to coat. Microwave the potatoes for 4 minutes, stir and microwave an additional 2-4 minutes until tender when pierced by a fork. They may need longer depending on the size of your potato chunks. 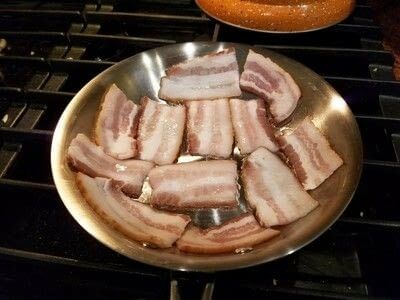 Cut your bacon into small lengths. In a large skillet over Medium heat, pan fry your bacon until crisp, but not burnt. Remove bacon to paper towels. 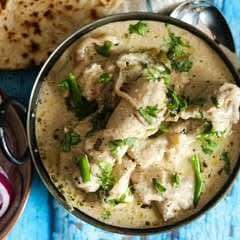 Remove oil from pan, reserving 1-2 Tablespoons of the drippings. Add onion to 1 Tablespoon bacon drippings (or olive oil) and saute until just starting to brown. 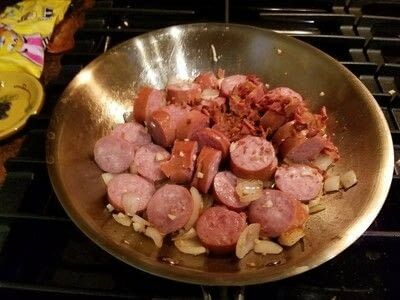 Then add Kielbasa and minced garlic. Cook until kielbasa lightly browns (about 3 minutes). 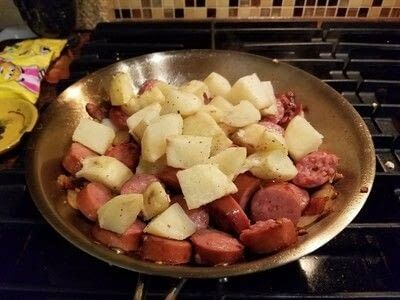 When potatoes are tender, add them to the skillet. Tossing to coat, adding a drizzle of bacon drippings (or olive oil) if necessary. Cook 2-3 minutes. Stir and continue to cook until the potatoes are lightly browned. 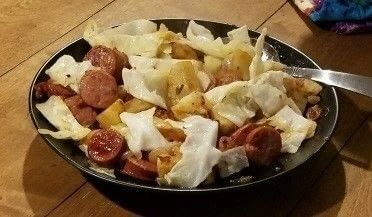 Add cabbage, season with remaining salt and pepper (or to taste). Toss to coat. Add 2 Tablespoons water, reduce heat to Medium-Low, cover, and cook for approximately 2-4 minutes. Cook until cabbage is bright green and wilted as preferred. Taste and add additional salt and pepper as needed. Serve and enjoy! The leftovers are super tasty next day as well.